Living in colder northern climates may leave you with doubts when it comes to cultivating a cannabis crop. Of course, you can insulate a grow room, set up a heating system, and isolate your crop from the cold. But how do plants fare outside in such conditions? It just so happens that cannabis is a durable and resilient species—it’s not called “weed” for nothing. It appears in feral form in ditches, old construction sites, and mountain ranges. It can pretty much survive on its own, however, human intervention is required to obtain maximum yields of quality. Further proof that cannabis can tolerate colder northern climates is its evolutionary history. Some forms of the species evolved further south in humid and warm environments, while others evolved further north under much colder and darker conditions. These genetics have been harnessed by breeders to create cannabis strains that can not only survive, but thrive in the cold. 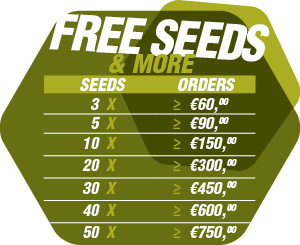 Some of these strains are autoflowering varieties, strains featuring genetics from the subspecies Cannabis ruderalis. Unlike indica and sativa subspecies, ruderalis strains flower regardless of a change in light cycle. This was an adaptation that occured in its evolutionary environment of colder and darker northern climates. Therefore, it makes perfect sense that these genetics have an easy time growing up north. Others are photoperiod strains that just happen to be up to the challenge, and have been selectively bred using crops that display vigour and genetic prowess. Here are Zambeza’s top 10 strains for colder northern climates. Green Monster Autoflowering is an ideal strain for those living in cooler northern climates who are chasing a stoning and meditative indica high. This lady was crafted using parent strains Green Monster and Big Devil 2. This combination took the high productivity of Big Devil 2 and merged it with the tantalising taste of Green Monster. Finally, the autoflowering genetics of a ruderalis strain were added to the mix to provide cold-temperature tolerance, rapid flowering times, and beginner-friendly ease. She provides compact yet dense flowers that emit scents of lemon, sweetness, spice, and acidity. Her flowers generate a THC content of 15%, more than enough to allow her indica highs to come on fast and linger for hours. A few hits of this strain and it will feel as though the body has become wrapped in a heavy blanket of comfort. This experience is recommended for evening use, where it lifts the weight of worry and induces meditative states. Green Monster Autoflowering is known for her cold tolerance. She can handle temperature drops with ease, growing to heights of between 70–110cm outdoors and providing harvests of 70–120g/plant. Her stinky buds will be ready for snipping after a total growth cycle of 55–65 days. Those seeking to cultivate this strain indoors can expect their plants to grow to heights of 60–90cm and produce yields of 300–350g/m². Vanilla ICE Autoflowering descends from parents strains Vanilla ICE and ruderalis, combining legendary genetics with cold tolerance. The original Vanilla ICE stems from Afghani, Skunk, Shiva, and Northern Lights genetics, a combination that churned out a ruthless indica-dominant strain loaded with sweet tastes. Vanilla ICE Autoflowering contains the stoning and delectable traits of the original, along with a slightly tougher personality that allows her to deal with northern climates extremely well. Her flowers are best experienced through a vaporizer, where her sensational flavours of sweetness, flowers, and pine are maximally preserved. A THC content of 13% is subtle for more experienced smokers, offering a gentle high that leaves the mind clear, but relaxes the body and melts tension from the muscles. Vanilla ICE Autoflowering is regarded as an easy strain to grow and makes a superb option for beginners living in cold climates. She does exceptionally well outdoors within garden beds or greenhouses, and her growing time of 8–9 weeks post-germination means she can be started relatively late in the season and still do well. Outdoor plants achieve heights of 60–100cm and produce humble yields. This stealthy size enables growers to elect her as a guerrilla grow candidate with a low chance of being discovered. Plants cultivated indoors grow to 50–90cm in height and produce slightly larger yields of 300–350g/m². Stepping away from the indica world, Super Silver Haze Autoflowering offers northern growers a stimulating taste of sativa goodness. This specimen descends from Haze genetics, a category of sativas known for their famous buzz. The original Super Silver Haze is an award-winning variety that dominated the High Times Cannabis Cup during the late 1990s. This flavoursome and energetic strain is in high demand, however, she is notoriously difficult to grow. The infusion of ruderalis genetics into the mix has made her considerably easier to cultivate, massively shortening her flowering time and endowing her with the strength to endure colder northern climates. Stuffing these flowers into a blunt or bong in the morning will fire up the mind, providing a powerfully stimulating high augmented by characteristic Haze flavours. Super Silver Haze Autoflowering is ready for the cold. Starting her off in a greenhouse is a good idea to give her a headstart in life, but once her seedling has matured enough, she’ll be more than ready for the plunge into a large pot or garden bed out in the elements. Outdoor plants surge to heights of 110–150cm and produce satisfying yields of 120–170g/plant over a total grow time of 70–85 days. Indoor plants are capable of reaching heights of 80–110cm and producing harvests of 250–300g/m². White Widow XL Autoflowering belongs to the most famous cannabis dynasty of them all, the White Widow family. The exact origin of White Widow is still to this day shrouded in mystery, however, it is thought that the original was derived from landrace genetics from Brazil and hybrid genetics from Southern India. White Widow XL Autoflowering was born when White Widow XL, A high-yielding version of White Widow, was augmented with ruderalis genetics. This ambitious breeding project was conducted with the goal of adding speed to a high-yielding strain, allowing growers to obtain hefty yields over a short period. What’s more, this lady is geared up for the cold, enabling growers in northern regions to benefit from these impressive traits. White Widow XL Autoflowering provides a sativa-dominant high when smoked up, sending a rush of energy throughout the body. A THC content of 15% is mildly psychoactive, yet is counterbalanced by high levels of CBD. These pleasant effects are experienced with contrasting tastes of bitterness and sweetness. White Widow XL Autoflowering walks the walk. The XL in her name is well deserved, especially relative to average autoflowering yields. After a grow time of 70–85 days, outdoor plants reach heights of between 80–120cm and pump out yields of 150–250g/plant. Plants cultivated indoors produce impressive yields of 450–500g/m² and achieve heights of 80–110cm. Green AK Autoflowering churns out dense colas that are decorated with green, yellow, and orange shades. 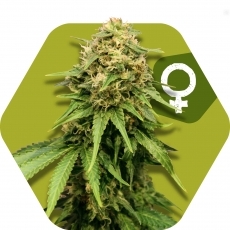 She’s admired by many growers for her deeply stoning high, fast flowering time, and relatively immense yields. Green AK Autoflowering descends from powerful genetic stock as the offspring of AK-47 genetics. AK-47 solidified her place within the cannabis scene starting in the 1990s, grabbing 16 international awards during this time. It only made sense to attempt to add an autoflowering twist to these superior genes. Breeding this titan with a ruderalis specimen has allowed beginners and auto-only growers access to a modified version of this fantastic original. The high induced by this indica-dominant variety catalyses a euphoric and ecstatic mindset matched by a soothing body buzz. THC values of 14% eliminate any chances of being overwhelmed, producing a high that is mentally clear yet physically heavy. Each hit is laced with flavours of fresh fruit and pine. Overall, growing Green AK Autoflowering is a very rewarding process. She provides great yields over a growth period of 60–70 days, a timeframe so fast that visible differences manifest on a daily basis during both the vegetative and flowering phases. Outdoor crops will grow to heights of between 70–110cm and produce yields of 100–150g/plant. As a small plant that takes up little space, growers can afford to plant several seeds on a small plot. Indoor plants grow to slightly smaller heights of 60–90cm and produce great yields of 400–450g/m². Critical XXL is a truly monstrous strain when it comes to both size and potency. Her colas are absolutely massive and serve as a great source of inspiration to growers, posing the question: how big can cannabis flowers actually get? Good luck fitting more than a couple of these fat nuggets in your hand at one time. This titan has won multiple awards since her creation, a testimony to her unique and seemingly impossible nature. This mammoth was only made possible by careful parent strain selection. Breeders made the wise decision of taking the child of Kritikal Bilbo and Critical and breeding it with Critical Mass. This merging of extreme genetic potential proved to be worthwhile, producing a strain that offers massive yields and flowers that generate a THC concentration of 23%. These flowers are not to be taken lightly and can easily push novice smokers over the edge into an uncomfortable headspace. Even veterans of cannabis inhalation will be amazed at just how far this high can push the psyche. These massive flowers emit scents and flavours of citrus and lemon, with each cola supplying enough dry plant matter to fill out multiple large blunt wraps. Critical XXL flourishes both indoors and out, with cold climates posing no issues to her prolific and robust growth. If the priority of your cold-climate grow operation is yield, then White Widow Haze is the choice for you. This strain puts out gargantuan harvests that are enough to start making branches bend due to the sheer weight. White Widow Haze is the amalgamation of 3 legendary strains. It’s almost as if a breeder had the idea of combining the 3 most potent strains they could locate to see what the outcome would be. These 3 strains were White Widow, Northern Lights, and Super Silver Haze. It doesn’t take a cannabis expert to predict that the outcome of this combination would be potent, flavoursome, and productive. This sativa-dominant photoperiod hybrid contains medium levels of both THC and CBD, offering a clear-headed and stimulating high that is equally as therapeutic as it is psychoactive. She features a flowering time of 9–10 weeks and performs well both indoors and outdoors. If you were to compare the outcomes of both of these environmental conditions, it would be clear to see that White Widow Haze was designed to thrive outdoors, including in the cooler conditions of northern regions. Outdoor plants soar to towering heights of 3m and produce massive yields of 1000g/plant when the weather has been generous over the season. 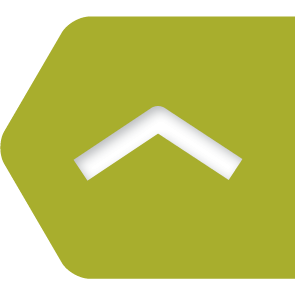 In comparison, indoor plants produce yields of 600g/m² and grow to much smaller heights of 70–80cm. Seeing an indoor version of White Widow Haze is much like witnessing a majestic animal in the zoo; the result is still impressive, but it's in the great outdoors where she belongs. Skunk is one of the most used terms within the cannabis world, and one of the most well-known strains to boot. But how did she gain such prestige? Her highly regarded status is due to the fact that her genetics have been used as a foundation for many other strains in existence. She was chosen for many of these breeding programmes because of her tendency to produce high yields whilst maintaining an easily manageable size. And that’s not to mention her respectable THC value of 17% and a sativa high that ignites inspiring thoughts, out-of-the-box ideas, and euphoric mindsets. Skunk is also a favourite to use in edibles recipes because of her skunky, sweet ‘n' spicy flavour. Adding her essence to space cakes, smoothies, and drinks is a surefire way to dive into a long-lasting psychoactive trip. Zambeza's version of Skunk is a tough lady that laughs in the face of cold winds and lashing rain. Outdoor plants grow to varying heights of between 150–200cm, depending on pruning and management, and kick out yields of 550–650g/plant, more than enough for a large personal stash. Indoor plants grow to smaller and stealthier heights of 80–110cm and produce equally as satisfying yields of 550–600g/m². Power Plant XL originates from South African sativa landrace genetics. A team of Dutch cannabis breeders and explorers departed to these lands in the 1990s when they discovered and started to breed these genetics. After much trial and error, Power Plant was honed and released as a successful strain. Since this time, Zambeza took these genetics and decided to give them a boost in size, creating Power Plant XL. Power Plant XL maintains its sativa vigour and provides a cerebral buzz similar to that of the original strain. The flavour of this strain is also a real treat, unleashing notes of sweet, sour, earth, and citrus onto the taste buds. A THC content of 20% catalyses a high that comes on instantly. This level of strength is highly sought-after by growers seeking to make potent oils and tinctures, extracts that will take this high to the next level. Power Plant XL is usually ready to harvest at the end of September when cultivated outdoors in colder northern regions. Outdoor plants often grow to large heights of 200cm and offer extremely rewarding harvests of up to 600g/plant. Indoor plants cultivated within tents and grow rooms grow to much smaller heights of between 80–110cm yet put out great yields of 600–750g/m². Expect to be harvesting these buds after a flowering time of 55 days. Lemon Kush is an amazing party strain. Her perfectly split genetic mix of 50% sativa and 50% indica results in a social, giggly, cerebral, and uplifting high. Blazing these flowers with your friends during parties, concerts, and social gatherings will cultivate fascinating conversations, lots of therapeutic belly laughs, and collaborative, creative ideas. But beware, THC levels of 20% can easily be overwhelming to some. A few tokes here and there is all it takes to have a great time in good company. After a few hours and less consumption, the buzzing mental high tapers down into a soothing body high, returning the user back to Earth, just in time for a restorative night’s sleep. Lemon Kush was manifested via the crossbreeding of parent strains Lemon and Kush. This fusion perfectly balances sativa and indica genetics, allowing users to experience the best characteristics of both subspecies during the same high. The growing difficulty of this strain is reported to be medium, making her a great next step for beginners after a few easier grows. Outdoor plants can easily handle cooler temperatures, produce medium yields, and grow to heights of 170–230cm. Plants cultivated indoors grow to smaller heights of 100–130cm and produce decent yields of between 450–500g/m². Expect to be harvesting these nuggets after a flowering time of 8–10 weeks.